Want some catchy riffs that have more than enough Rock to satisfy even the pickiest of listeners? Then check out the fine folks, The Hazy Eyed Smiles! They’ve been Rockin’ the UK since 2011 and show no signs of stopping. 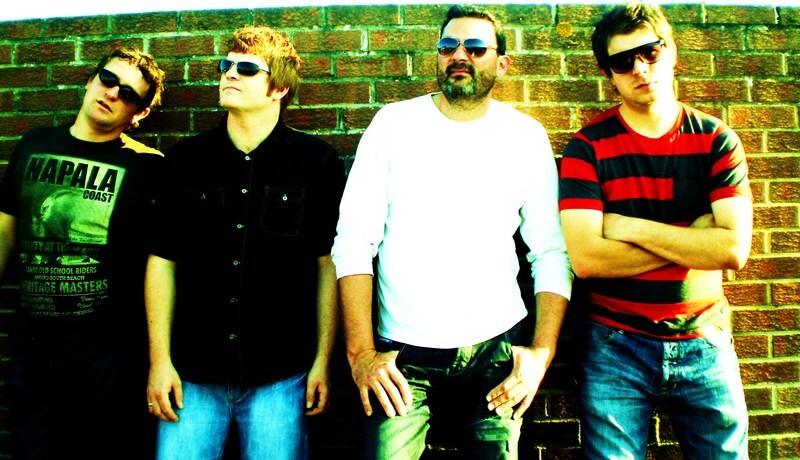 The Hazy Eyed Smiles are an elegant blend of Indie Rock and Modern Rock. They aren’t crazy hard Rock, but don’t take them lightly. These guys can crank it up a notch and give your ears a swift kick. Think a slightly Rockier Oasis. Though to be perfectly honest, I kept finding myself thinking U2 with an edge. Any way you want to look at it, or listen to it, The Hazy Eyed Smiles are good, and you won’t be disappointed. With brilliant harmonies, melodies and riffs, The Hazy Eyed Smiles have a sharpness and crispness of a band who has been together for decades rather than a little over a year. That’s the true sign of a good band, in my opinion. When a group of musicians can get together and make music as ear-pleasing as what The Hazy Eyed Smiles make, you know there’s something special going on there. Can I get an AMEN! I dream of a world where the music industry isn’t a cutthroat business. Rather, I dream of a music industry filled with talented individuals who genuinely love the art of music and want to help and support those of similar convictions. The Hazy Eyed Smiles are an excellent start to that dream! My favorite songs were Redeemed and Sleeping With an American. Redeemed has a nice Indie Rock beat and fell to it while Sleeping With an American has a quick, high-tempo beat that will almost assuredly get your heart pumping and ears thumping. Do your ears a favor today and give a listen to The Hazy Eyed Smiles via ReverbNation below! Enjoy!